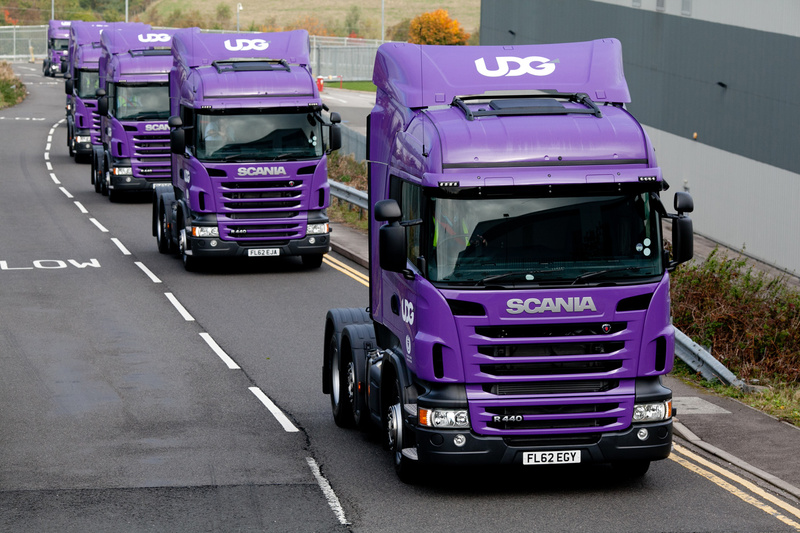 When you are distributing approximately £3 billion of healthcare products throughout the UK per year there is no margin for error, which is one of the reasons why Unidrug Distribution Group (UDG) chose Scania and Keltruck with their latest purchase of 28 R445LA6x2/4, three axle tractor units. 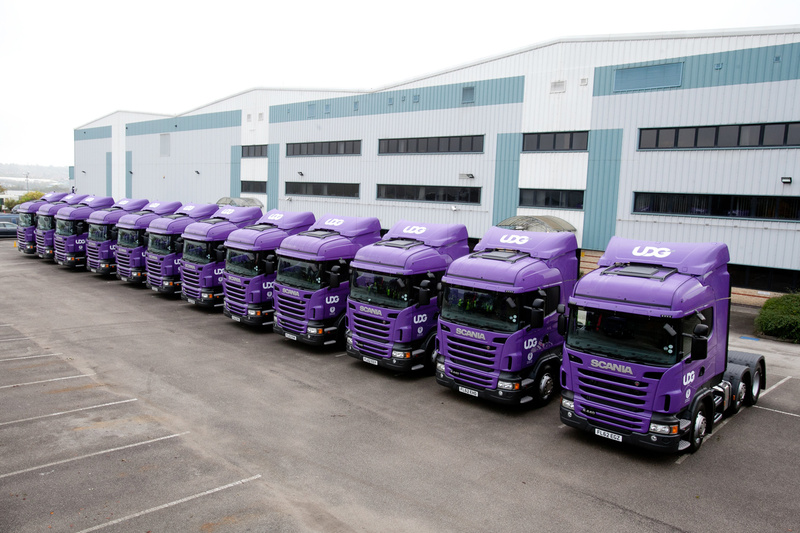 Founded in 1996, UDG are a pre-wholesaling joint venture company owned by Alloga (a wholly owned subsidiary of Alliance Boots) and United Drug PLC, and specialise in delivering logistics solutions for the UK healthcare market. 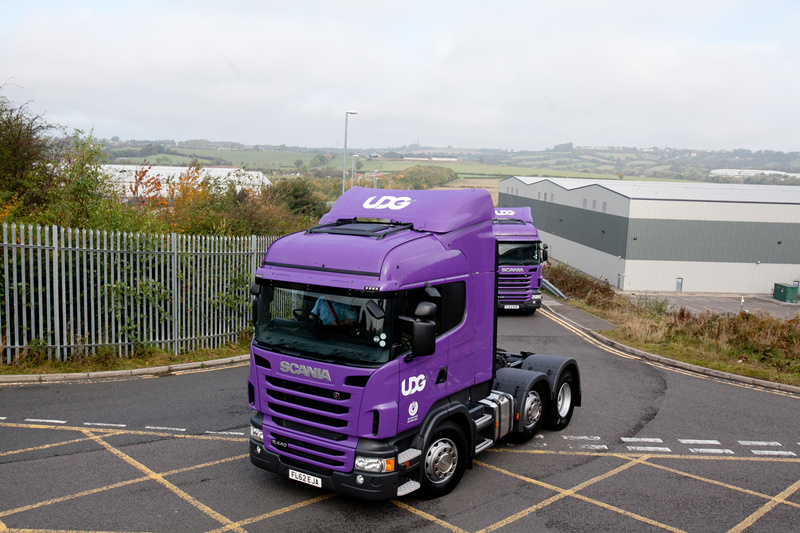 The vehicles, which were supplied through contract hire company ChartHire, are now lighting-up the UK motorway network with UDG’s renowned eye-catching purple livery as well as the high-end vehicle specification which Keltruck, ChartHire and UDG worked closely together on, in order to meet UDG’s exacting specifications. 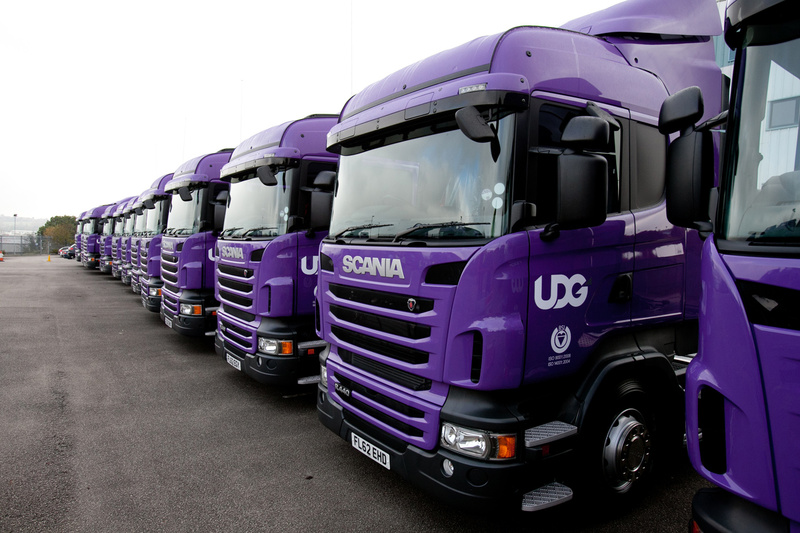 “UDG chose this model on the basis that we cover all UK deliveries from our base at South Normanton so UDG’s drivers are often on nights out, two to three a week in some instances. Not only was the vehicle specification paramount in this sale but also the after-care of the vehicles to ensure minimum downtime. This is where the location and the relationship between Keltruck, ChartHire and UDG were so important. “UDG have received very good service from Keltruck over the years and this, coupled with their close proximity to the UDG depots, make servicing and defect rectification easy to manage,” Mr Langton added. ChartHire was formed in November 2000 and have built the business from a standing start to around 1,000 vehicles and trailers today. They specialize in commercial vehicle/trailer contract hire, truck & trailer rental and fleet & contract maintenance.